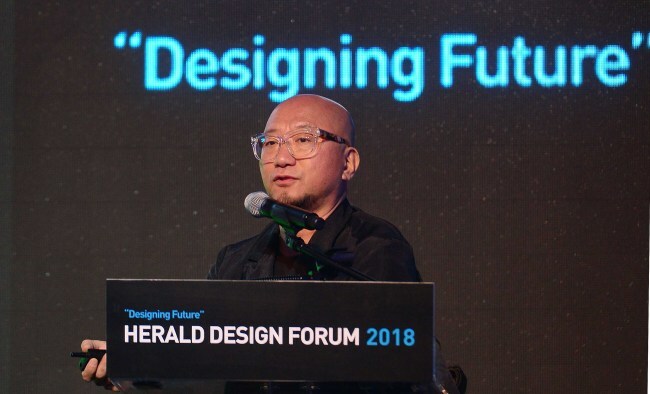 At a lecture titled “Life Life” at the Herald Design Forum 2018 on Saturday, Choi explained the inspirations and the thoughts behind his works. The artist is widely known as a master of the kitsch. Using plastics as his main medium, he puts together everyday objects made of cheap plastic, such as plastic baskets of vivid colors, turning them into installations. The installation artist also highlighted his public art projects, the type of artworks that involve public participation. In Helsinki, Finland, for instance, he led a project where children could participate in the making of an installation art piece in a public square. The children had fun putting plastic pieces together and creating a new shape. Gathered together, the result was a huge art piece. 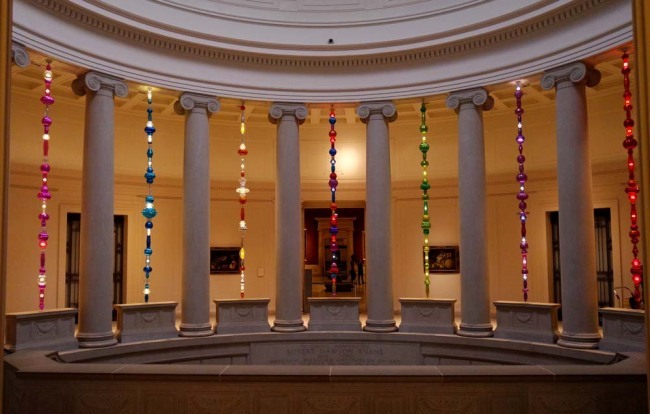 Artmaking does not have to be grandiose, Choi said. “Art is in the end, a bait and a hook. Everyone feels different things (when seeing art). That’s the answer, you just have to trust yourself,” he said.